Sipping your martini out of a sleek cocktail glass isn’t just about keepin’ it classy. The glass actually serves a functional purpose, helping to preserve the cocktail’s taste and temperature. In fact, almost all of the glassware stored away in your cupboards aims to heighten the flavour of your specific drink. There are obviously a gazillion different types of wine glasses out on the market. So, what should you buy? You need a set of glassware that works for your day-to-day needs, rather than necessarily needing the right glass for every single type of wine. 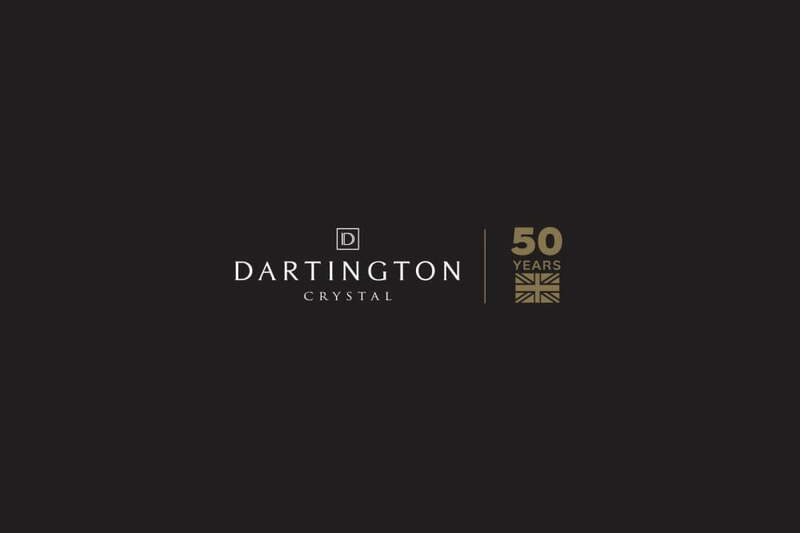 We recently came across Dartington Crystal and were blown away by their quality and service. 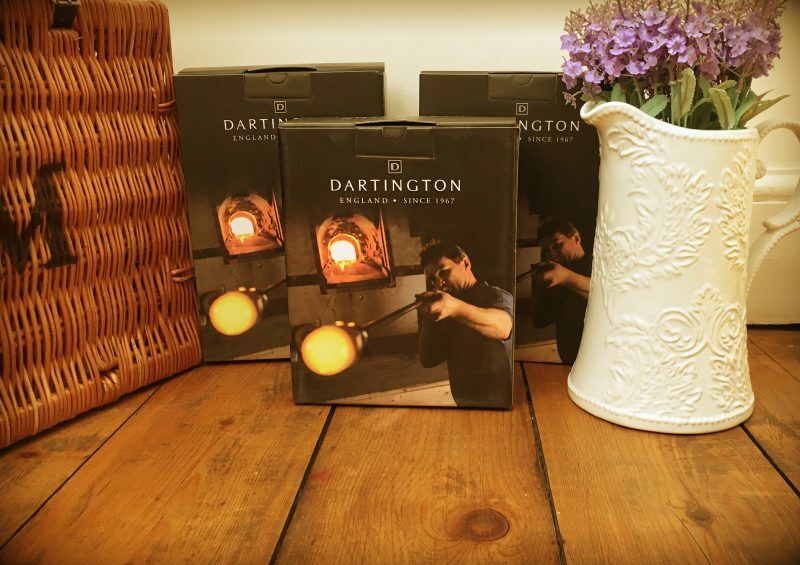 We love that they offer The Dartington Price Promise & No Quibble Guarantee on their items so that you can be sure of their quality. Fantastically, they are celebrating their 50th anniversary this year. 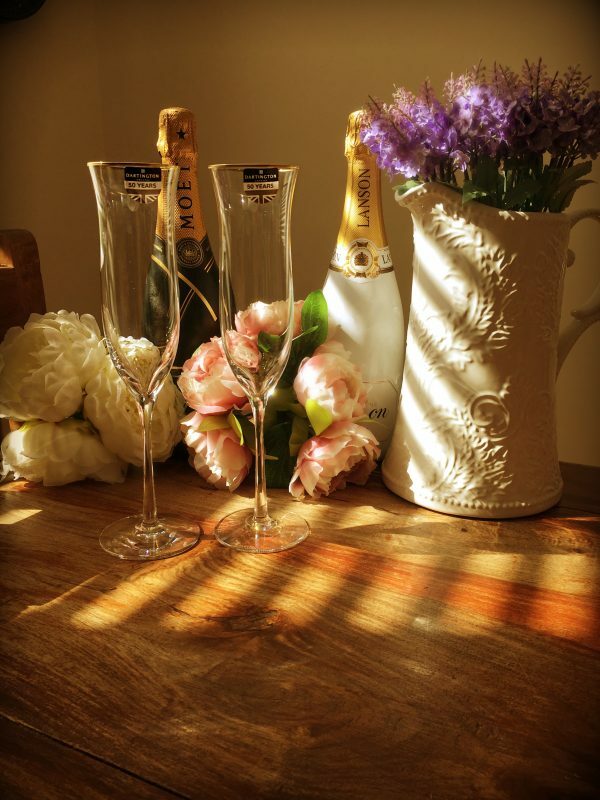 To commemorate this occasion they’ve released a very special range of glassware called Celebrate, it’s 24% lead crystal and designed by Hilary Green, it’s sure to let you celebrate and entertain in style. • White wine – White wine glasses are traditionally smaller and hold a lower volume to keep the wine fresh and chilled for longer. This tall flared wine glass is perfect for serving white wines, with an elegant long stem to keep hands from warming your wine. • Red wine– This is one that you’re likely to have at home already, we also occasionally use standard wine glasses for cocktails. As with the cocktail glass and Champagne flute, the stem on the wine glass stops the heat of our hand warming the liquid. A lovely crystal glass for serving red wines, the slightly flared lip and elegant stem make it a pleasure to use. 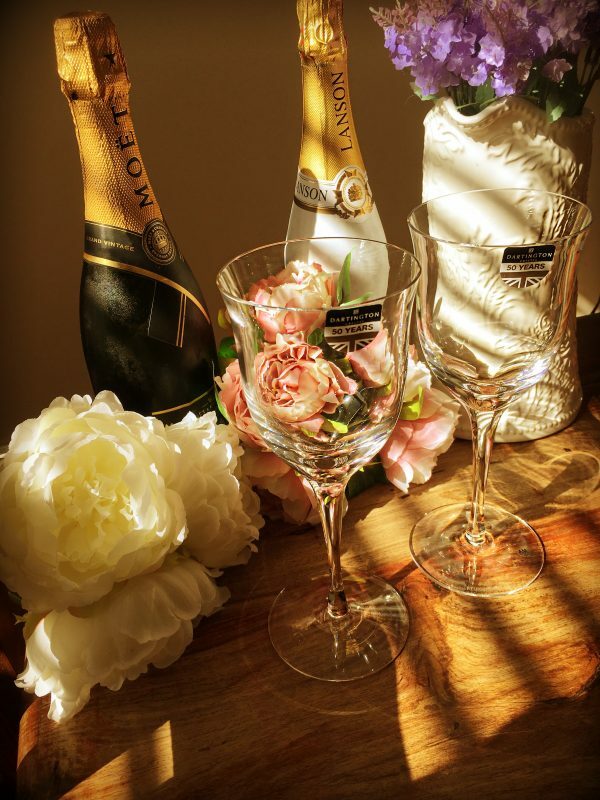 • Champagne flute – The sparkling wine glass is used for sparkling wine, sparkling wine cocktails or other drinks that we want to remain nice and fizzy. 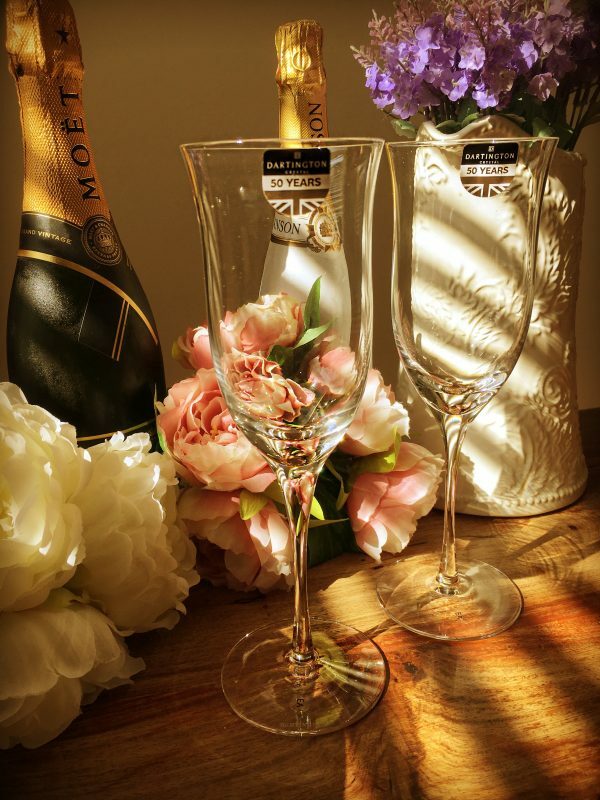 Nothing says special celebration like the classic shape of the champagne flute. 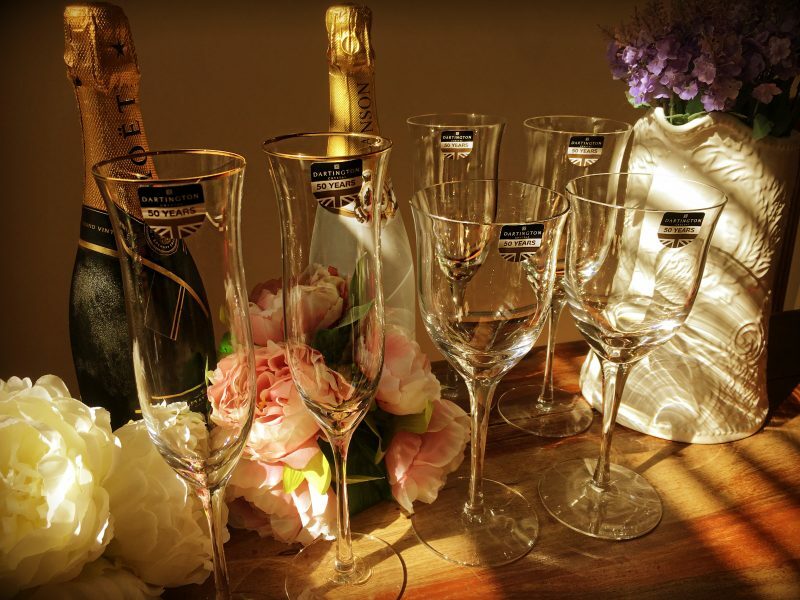 Dartington Crystal have also added a gorgeous gold rim to the champagne flutes just for the anniversary! Knowing how many glasses you need, especially when setting up home, can be a challenge. You’ll want enough to comfortably meet the demands of daily life without taking up too much space in your cupboards. Do remember though that many can be interchanged. However, if you pride yourself on having the most well stocked bar in the neighborhood, the aforementioned glassware is sure to be of necessity. Think about how often you entertain and what you tend to drink. At a minimum, keep a glass for each place setting at your table and enough glassware to cover water, Champagne, red and white wine. Take my word for it; this all you really need unless you’re planning to be a professional host. And of course, if you have children in the house, it’s also worth keeping a few extras on hand to accommodate breakages. Styles and fashions of course change over the years, the main change over recent decades is the increased size of wine glasses, alongside the quality and variety on offer. Now that you know how to choose the right wine glass, you can decide how to serve wine at home based on the atmosphere you want to create. The wonderful Dartington Crystal are offering our readers the chance to win the crystal glassware pictured. You’ll receive a pair of red wine glasses, white wine glasses and Champagne flutes. Just enter via the Rafflecopter below for your chance to win, good luck! This promotion is open to residents of the UK only. Competition closes at 12am on 30th April 2017. Entries received after this time and date will not be entered into the draw. 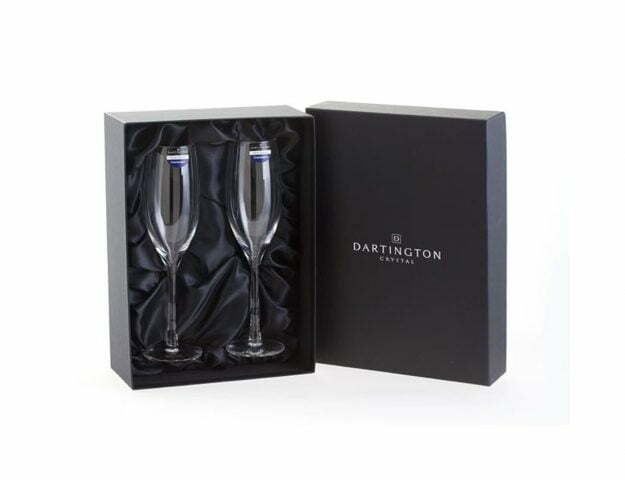 The prize is a pair of Dartington Crystal Celebrate white wine glasses, red wine glasses and champagne flutes. The decision of the promoter in all matters is final and binding. The Promoter reserves the right to withdraw the promotion due to circumstances beyond its control. Neither Vivre Le Rêve™ nor any other respective agents involved with this promotion shall be liable for any failure that is caused by something outside its reasonable control. Such circumstances shall include, but are not be limited to, weather conditions, fire, flood, hurricane, strike, industrial dispute, war, hostilities, political unrest, riots, civil commotion, inevitable accidents, supervening legislation or any other circumstances relating to Force Majeure. 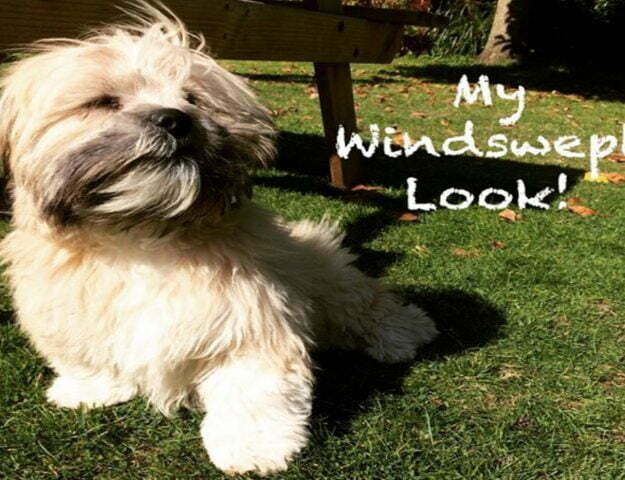 It’s Time for Teddy’s Competition! 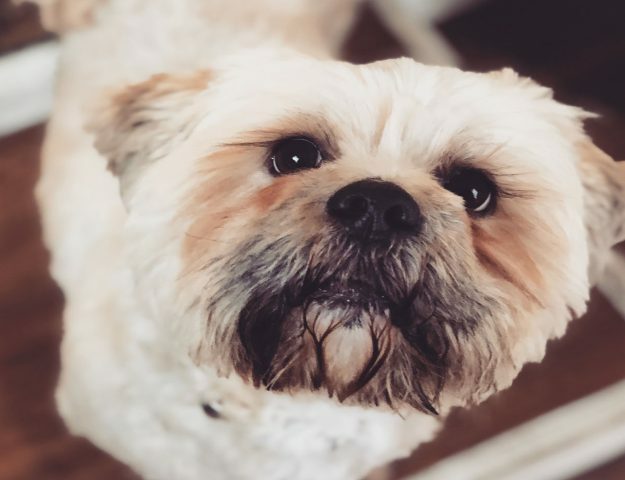 Giveaway: It’s Time for Teddy’s Competition!